I stepped carefully to the grassy bank of Crow Creek, hoping to glimpse a wood duck in the quiet of the morning. At first I didn't think he was there, and then he materialized out of the tree trunks piled up in the stream by the last flood. 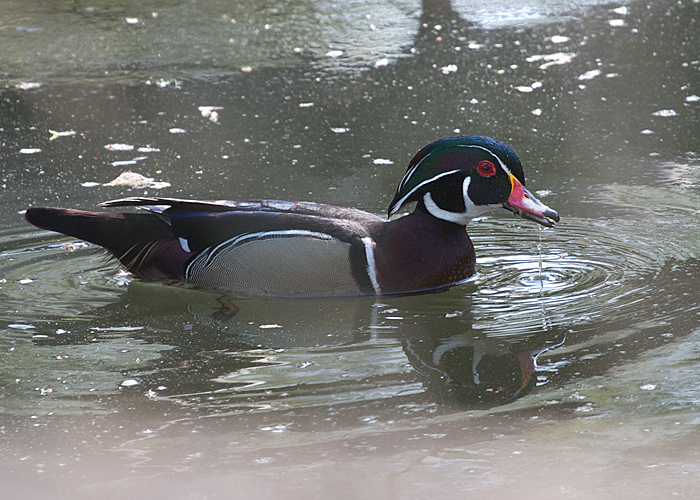 Surely the most flamboyantly plumaged of all American ducks, he swam calmly, silence surrounding him like a halo.